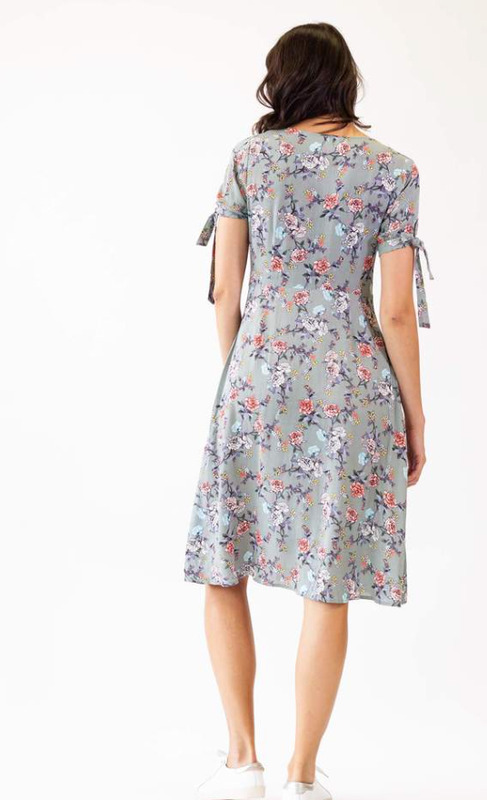 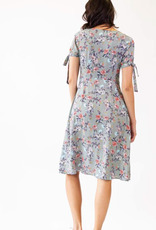 The ALICE Dress has floral patterns in pink hues upon a grey background. 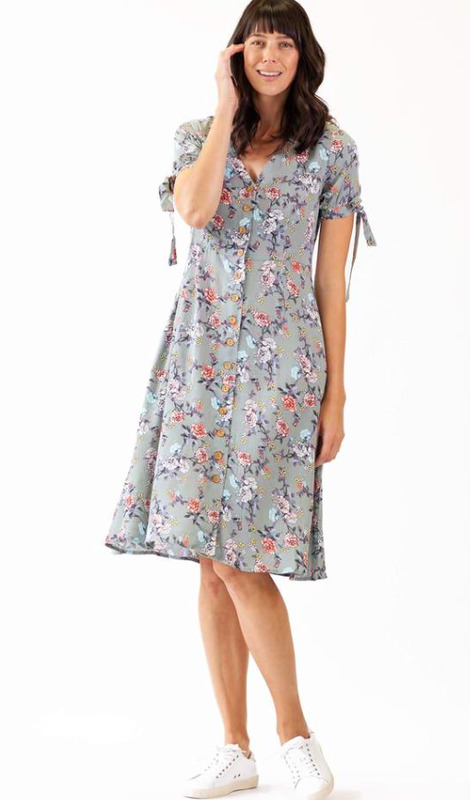 It has buttons along the front and a modest v-neckline. 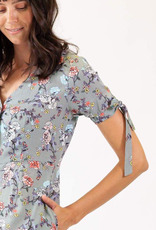 The short sleeves have ribbons tied into bows. 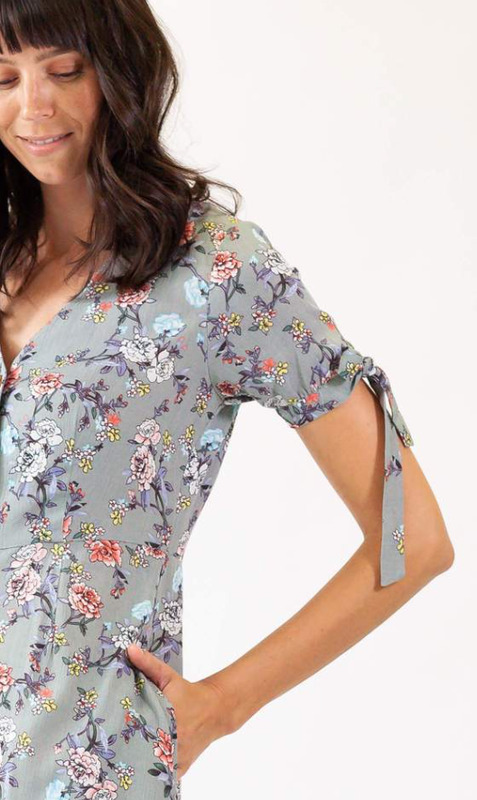 Pair yours with sneaky white sneakers.